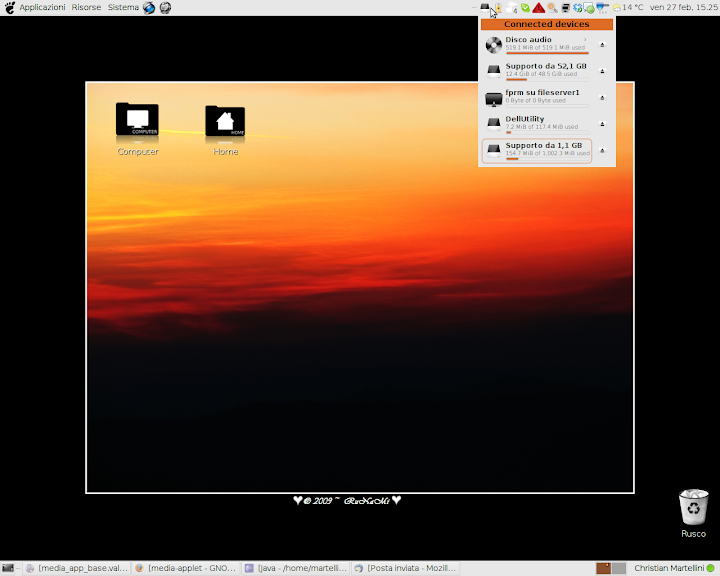 Media applet is an application to easily manage disks and devices on your system. If you are interested in translating media-applet into your language click here media-applet translation page. (Launchpad account required). For suggestions and bug reports feel free to contact me at the address below. 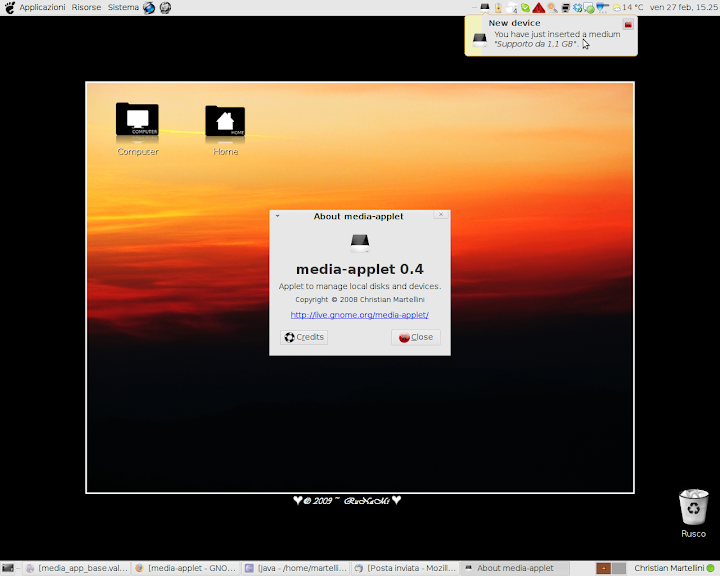 Media applet 0.4.1 is almost ready. In this version I worked on integration with gnome-format(now there is action to format removable devices) and on bluetooth devices support. The last task I will work on is the integration with the new ubuntu notifications server, I really look forward to make media-applet works fine with it.